As I promised on Instagram, I got news about Prince Jacques. 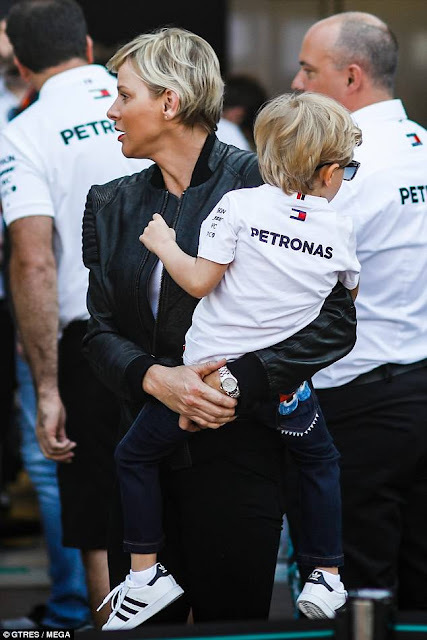 on May 25th, when Jacques and Gabriella joined their parents to visit the racetrack. We've covered Princess Charlene's outfit before, but since then, I found Jacques' jeans. 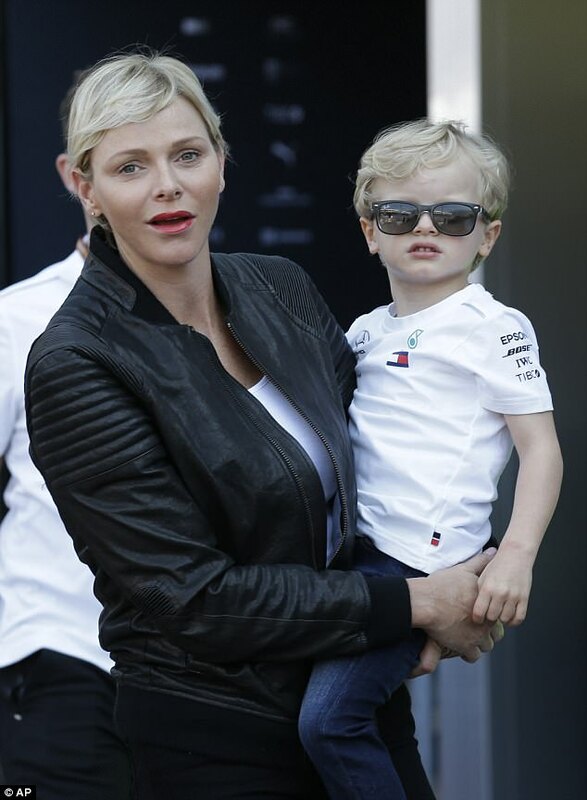 The Prince was wearing a Mercedes-AMG Petronas Petronas shirt by Tommy Hilfiger and Ray-Ban sunglasses. The jeans are the most interesting part, though! Mommy dressed the little prince in Fendi Monster Jeans. Why are they called Monster? 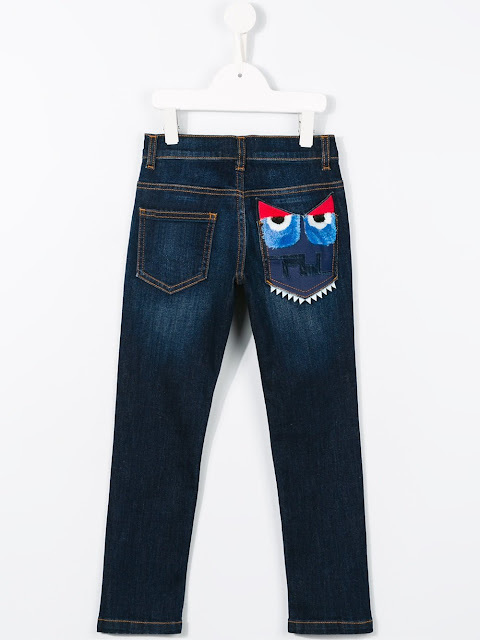 Because the cutest monster EVER is on the back pocket of the pair. You can see it on the Prince in the picture below. Do you like these jeans on Prince Jacques? Cute jeans �� And OMG she would rock a Fendi dress!! 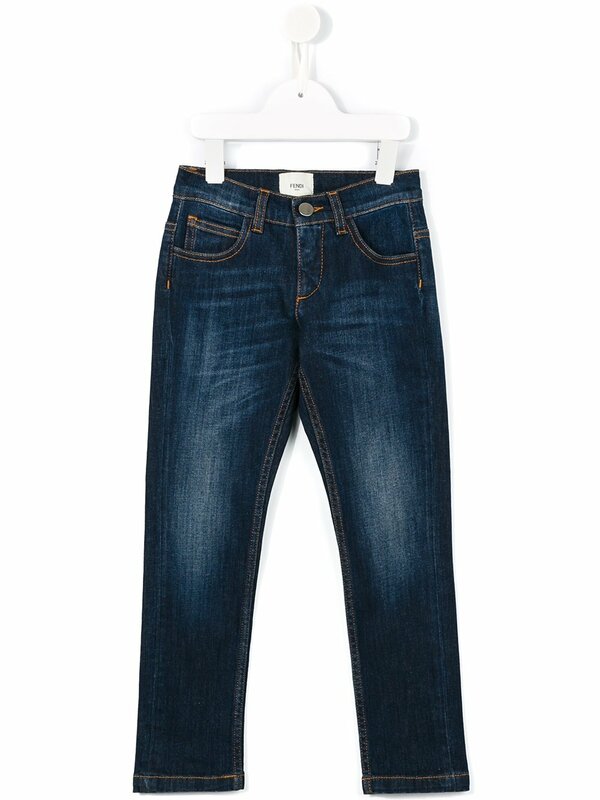 Jeans the most stylist brand for women of any age offer style and passion to those who wear it under comfort zone.